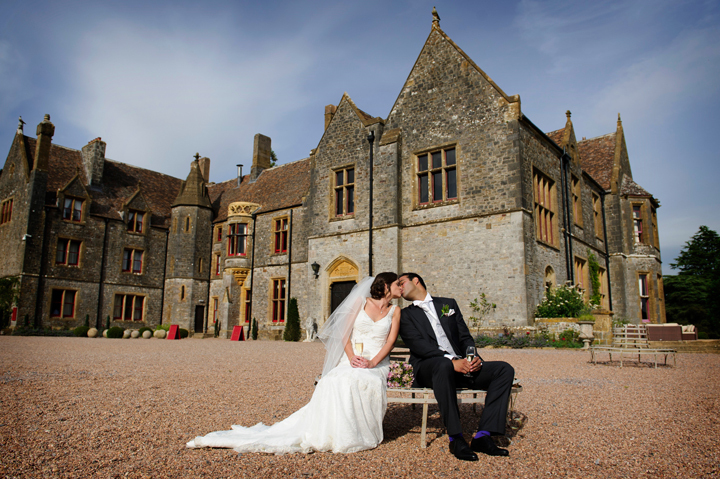 Most notably, Huntsham Court is a stunning Baronial country house wedding venue situated in the beautiful rolling Devon countryside on the borders of the Exmoor National Park and close to Somerset. 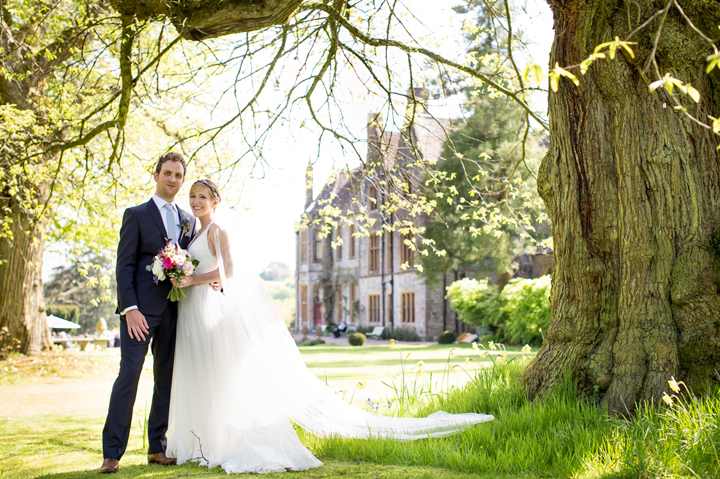 Award winning and acclaimed by the press, we are above all a private hire country estate sleeping up to 92 people across 40 luxury bedrooms & suites, for the ultimate country house wedding. Always no corkage and certainly no hidden fees. Events for up to 130+ guests and yet under 2hrs by train from London. With banqueting spaces for groups 10-130 people you can certainly choose to bring your own caterers or use our network of flexible and ethical caterers at anytime. Huge flexibility with no corkage. 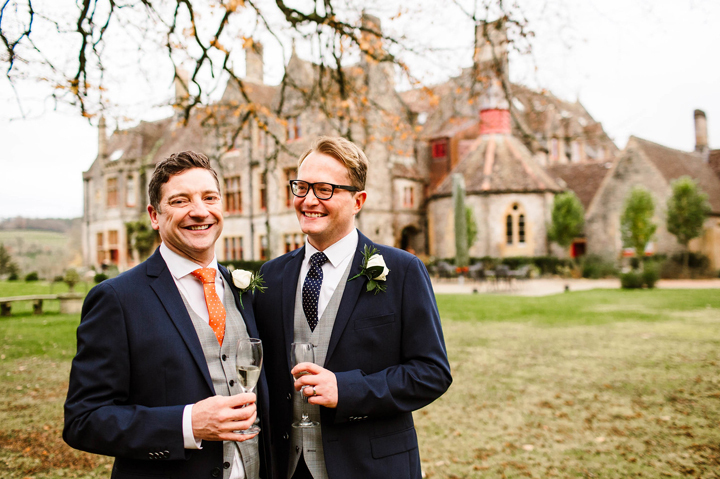 Our lovely ceremony spaces include grand rooms with Jacobean paneling, a Library surrounded by historic tomes and even a Ballroom with sweeping vistas. Celebrate your marriage under 300yr old chestnuts or perhaps in our romantic Victorian Dovecote. We have some wonderful historic churches near us including the beautiful village church nestled just 800 yards away on our driveway. 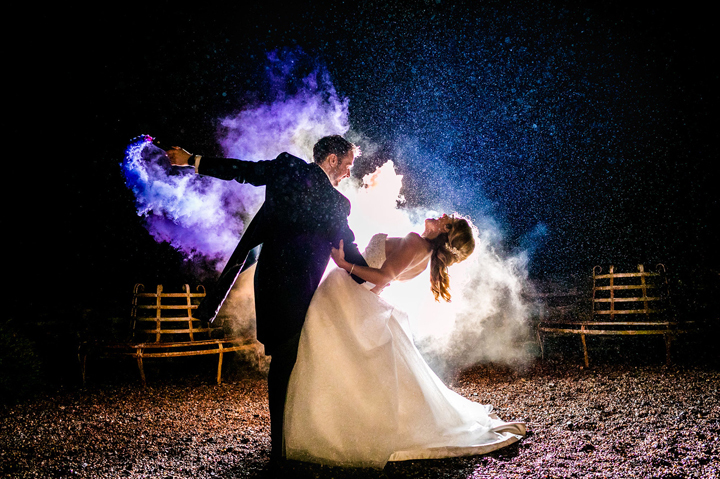 Always an exclusive use country house wedding venue and always completely private you can bring in your own DJs and bands and use our late licences to party even more. 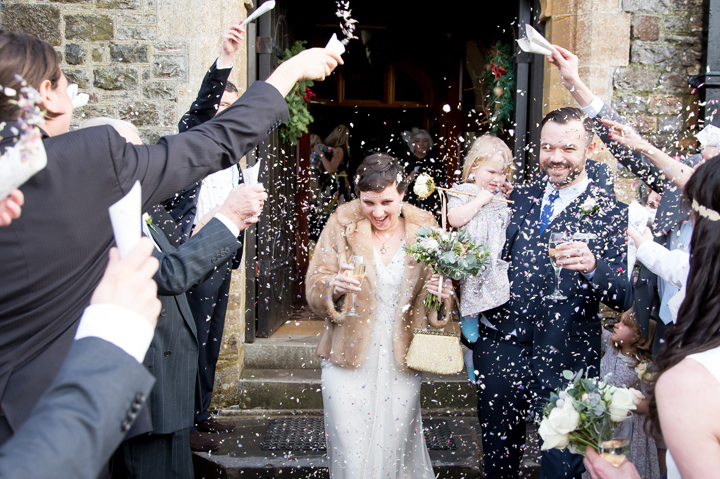 Stay up until the time you choose so to make the most of your country house wedding. 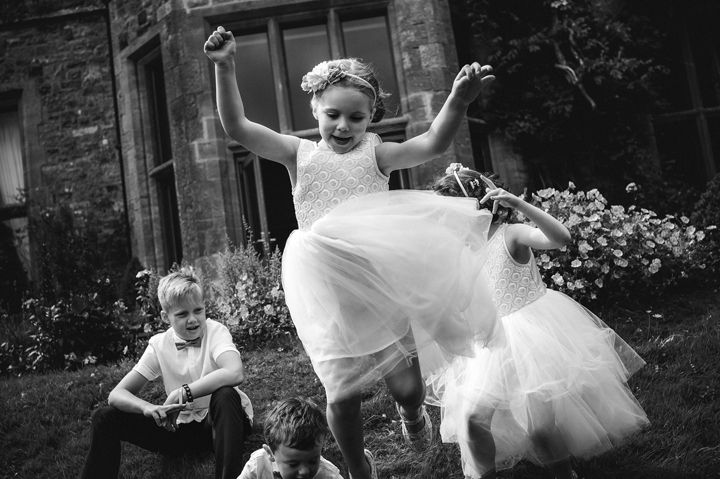 Country House Weddings are about quality time together and being under one roof with your nearest and dearest to get the best out of every second together. Whether that is the excitement of the arrival the night before, laughing together about times remembered or even the quiet moment over a cup of coffee with an older relative. 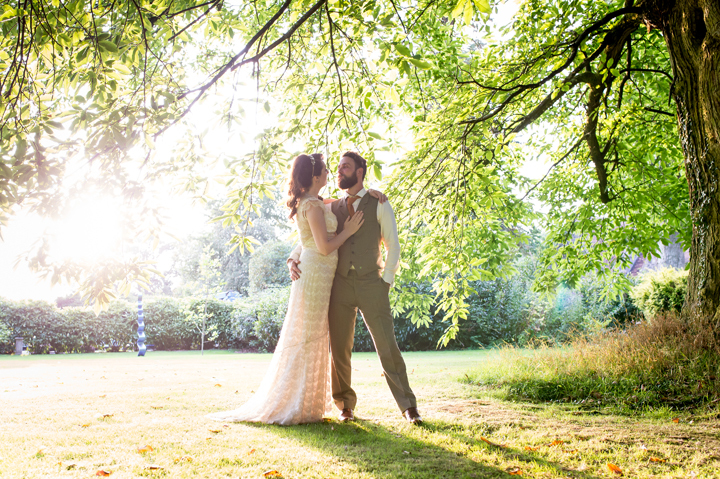 Obviously the centre piece of a country house wedding is the ceremony but even then time can fly so with a 2 day stay you have time to chat to everyone and every has time to relax and get to know each other better at this incredible time in your life together. It’s not just about marking the moment but about being in the moment and making last memories – why rush something that important. 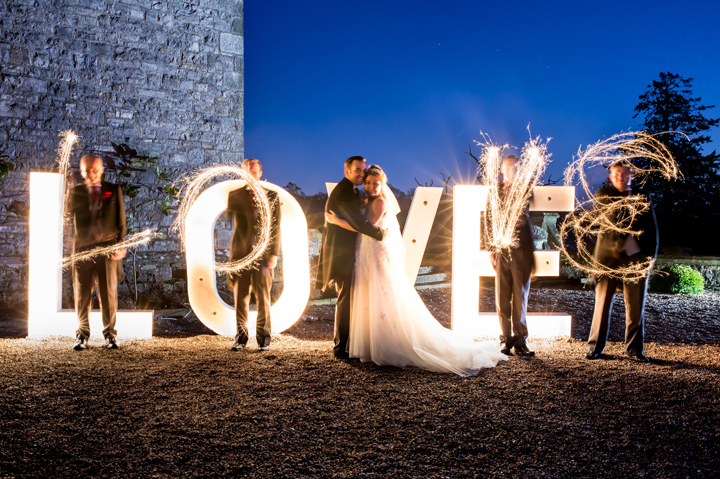 For an example of how to structure a 2 day country house wedding please click here. This country home-from-home in Devon oozes party vibes with a fancy twist. Beautiful and immense. If you are looking for a house with wow factor, this grand Victorian gothic pile is it. Huntsham Court is a manor from heaven.